As I've mentioned before, cupcake addiction runs in the family. 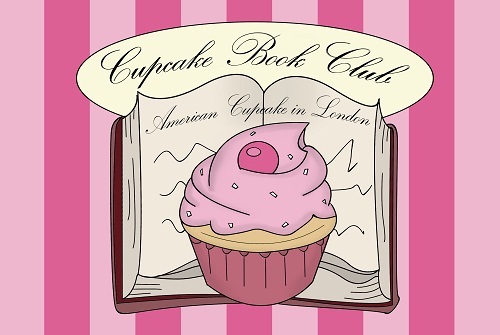 My sister Kelly, An American Cupcake in London started a baking themed book club through her blog. And yes, we are a family of nerds too! My inner literary dweb wanted to get in on the action so I read April's book Semi-Sweet: A Novel of Love and Cupcakes by Roisin Meaney. 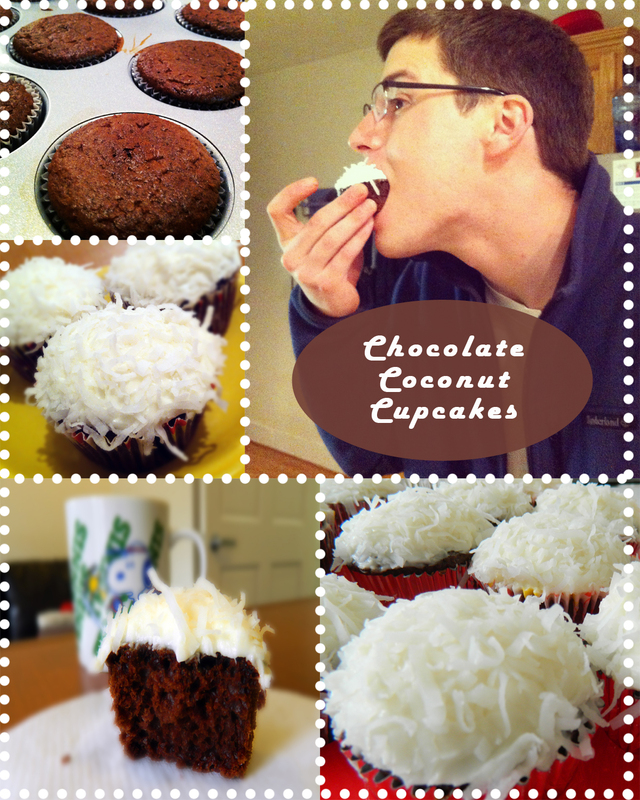 The story of Hannah's new cupcake business and failing love life inspired me to try out Your Cup of Cake's Chocolate Coconut Cupcakes that I found on pinterest. The Verdict: These cupcakes sure would help fix Hannah's busted heart! This souped-up box cake mix includes buttermilk, sour cream, and oil to ensure an airy and moist chocolate cake. The cream cheese butter frosting does not overwhelm and adds the perfect amount of coconut flavoring. No need to worry about piping frosting either. Dipping these in shredded coconut makes decorating a breeze! Ensure you share these cupcakes with the more adventurous cupcakes goer. Coconut is not standard fair up in New Hampshire and I had more difficult time than I thought pawning these off on my coworkers. Less picky eaters will surely enjoy them however so go ahead and pin these to your cupcake board! Check out Kelly's review of the book and her book board on pinterest. May's book is Rosie Hopkins' Sweet Shop of Dreams by Jenny Colgan! I would have eaten all of the coconut cupcakes if I was there! From my virtual pinboards to the chopping board and beyond. Journey with me as I bake, make, and craft my way through the amazing projects on Pinterest to make my tummy fuller, my apartment cuter, and my life easier! Email me at thepinupgirlblog@gmail.com for everything pinterest related.